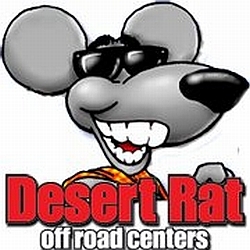 Desert Rat Off-Road Centers was founded in 1975 in Tucson, AZ. Since then, Desert Rat has expanded their retail presence across Arizona to New Mexico, and their Mail Order and Web presence across the world. Desert Rat is committed to providing proven products, great prices and the highest level of service to our customers. If you ever do find something is not totally up to your satisfaction, we want to know about it and to make it right for you. We will do everything within our ability to correct it – just ask a few of our long term customers!